For centuries, the coastline of Malta has been dotted with lookout posts or watch towers that were built by the Knights of Malta during the 17th century. These towers were manned nightly to watch the seaward approaches and to raise the alarm in the event of an imminent threat. The positioning of these towers was planned as such so that one could see both neighbouring towers, which acted as an early warning system against invaders. As soon as one tower spotted a suspicious event, a fire signal was started which was picked up by the neighbouring towers, in so doing carrying on the message. A number of coastal towers were built during the reigns of Grand Master Alof de Wignacourt (1601 – 1622), Grand Master Paul Lascaris Castellar (1636 – 1657) and Grand Master Martin de Redin (1657 – 1660). The aim was to strengthen Malta’s coastal guarding system. A total of seven towers were built under the order of Grand Master Fra Alof de Wignacourt, of which five remain today. 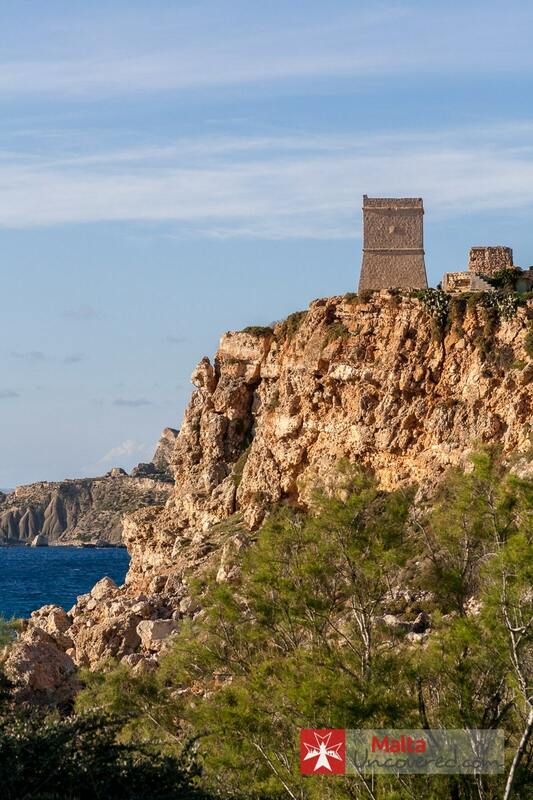 The Wignacourt towers were not just watch towers but formed important strongpoints in the Knights’ tactical defence system for the Maltese islands, of which parts were vulnerable to attack from the coast. The Wignacourt towers were the first to be built, and the Maltese watch tower grid was to be expanded by the Grand Master’s two successors. Under the reign of Grand Master Juan de Lascaris-Castellar, seven towers were built in the period 1637 – 1640. As well as Wignacourt, Grand Master Lascaris paid for the building of these towers out of his own pocket, such was his dedication to fortifying Malta’s coastal defences. With the exception of St. Agatha’s Tower in Mellieha (built in Wignacourt built), the Lascaris towers are smaller than Wignacourt’s and consisted of two storeys, a flat roof and a parapet. On some of the Lascaris towers, a cannon was positioned. When Grand Master Lascaris died aged 97, having ruled for 21 years, he was succeeded by Grand Master Marino de Redin, a Frenchman. He was a seasoned soldier and diplomat who was deeply concerned about the Island’s security and vulnerability to seaward attack. Each tower would be mounted with a small gun. Grand Master de Redin built thirteen such towers at his own expense at key tactical sites in Malta, starting from Mellieħa in the North, eastwards to Żonqor, round to Bengħisa and ending near Zurrieq. The rugged Western coast was considered naturally inaccessible and needing no towers. The cost of the thirteen towers amounted to 6,428 scudi or about €1,246 today, making the average cost of each tower about €96. 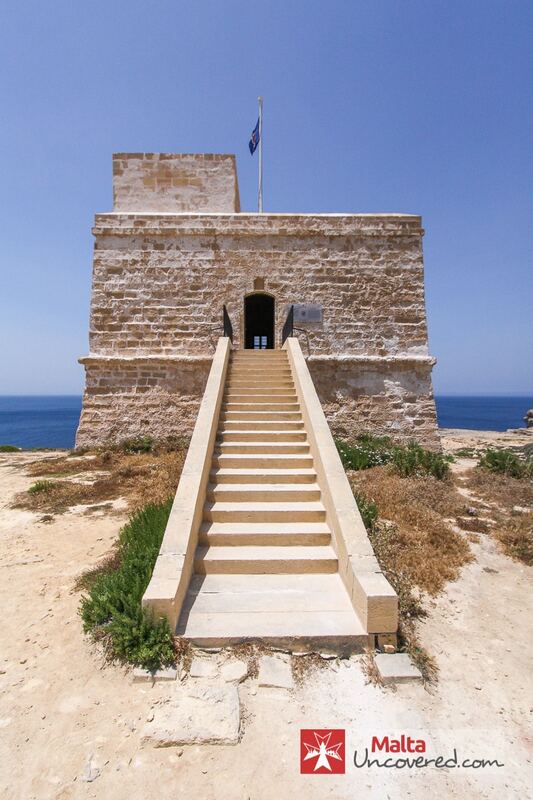 Unfortunately, the successor Grand Masters after de Redin did not share the enthusiasm for building new towers and by the late 17th century the watch towers had fallen into disrepair, but eventually did receive attention and were maintained for future generations (and rulers of the Maltese islands). It is interesting to note that in many locations of the towers built in the 17th century, Medieval watch posts or towers existed previously. This could suggest that the towers built under Grand Masters Wignacourt, Lascaris and de Redin were intended to augment and fortify pre-existing coastal defences.